The NYC BigApps competition awarded over $200,000 to innovative civic tech startups and piloted new models for collaboration between tech and the public sector. In 2014, the New York City Economic Development Corporation selected HR&A as program administrator of NYC BigApps, a trendsetting civic tech competition that has helped launched more than 500 apps and devices. HR&A has led all aspects of program design and management for BigApps 2014 and 2015, developing two interactive web platforms; producing more than 25 events; securing more than $500,000 in cash and in-kind sponsorships; managing partnerships with more than 100 organizations; and overseeing the selection processes that awarded $230,000 to 16 high-impact tech products. HR&A led a major redesign of BigApps in 2014, the competition’s fifth year. To facilitate more targeted submissions, HR&A partnered with New York City agencies and nonprofit organizations to craft more than 30 “BigIdea Challenges” that awarded extra prizes for specific solutions. To engage the public, HR&A produced 11 events, including the BigApps Block Party, a day-long tech showcase that attracted more than 1,000 attendees. The competition received 117 submissions, the most of any competition year. Among the 2014 winners was Heat Seek NYC, which uses low-cost sensor technology to track heating violations in apartment buildings. Since winning $25,000 in prizes, Heat Seek has been accepted into two prominent incubator programs, introduced an improved sensor and software platform, and launched a winter 2015 pilot program that deployed 120 sensors across 40 low-income buildings throughout New York City. 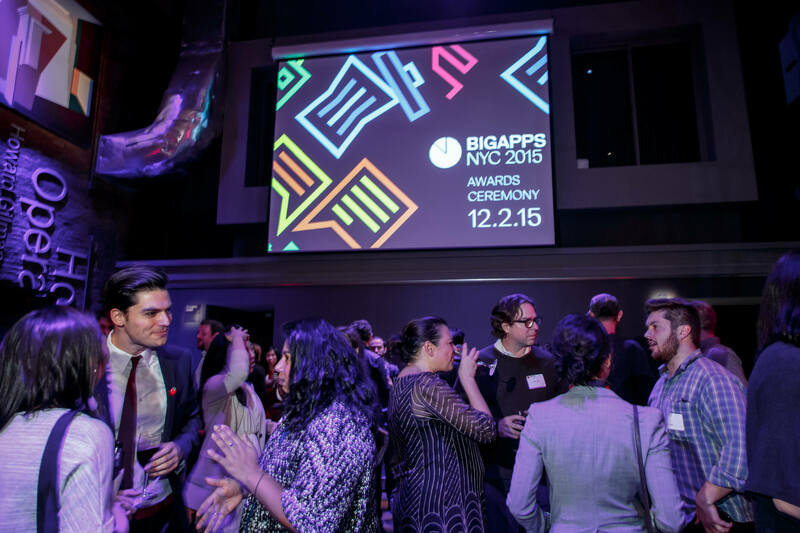 For BigApps 2015, HR&A again recruited more than 30 City agencies, civic organizations, and private sector firms, but this time focused on four high-impact Challenges: Affordable Housing, Zero Waste, Connected Cities, and Civic Engagement. These Challenges were designed to support Mayor de Blasio’s OneNYC: The Plan for a Strong and Just City. Over a four-month period, partners co-created products with teams and committed to supporting the implementation of winning products. In December, BigApps awarded $125,000 to seven impactful civic tech products, including Benefit Kitchen, a mobile app that helps low-income New Yorkers access public benefits; JustFix.nyc, a web platform that empowers tenants to improve their living conditions; and Addicaid, a digital support network designed for individuals struggling with substance abuse. In addition to prizes, teams won four months of Incubation at Civic Hall, including access to meeting and work space, targeted workshops, access to professional networks, and expert guidance on business planning, marketing, funding strategies, and product development. Read more about BigApps at NYC .gov, EDC.nyc, AM New York, and Crain’s NY Business.